NTC stands for “Negative Temperature Coefficient”. NKT NTC thermistors are resistors with a negative temperature coefficient, which means that the resistance decreases with increasing temperature. An NTC is commonly used as a temperature sensor, or in series with a circuit as an inrush current limiter. NKT NTC sensors are typically used in a range from −40°C to +200°C. 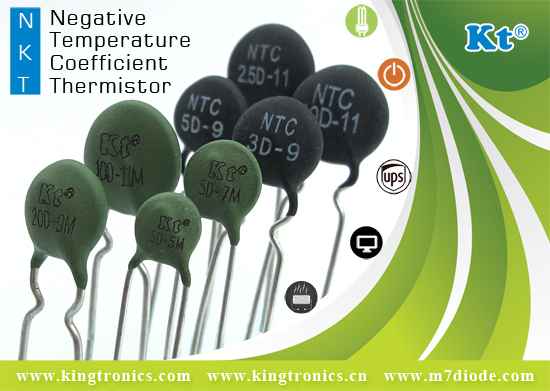 Kingtronics’s NKT Negative Temperature Coefficient (NTC) thermistors are available in an array of designs to fit nearly any desired application. We created using the best high purity materials for reliable results you can count on and customizable to fully meet your needs.